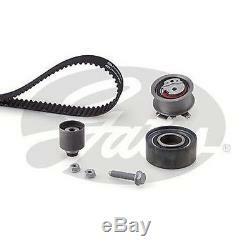 Original gates kit timing belt gatk015607xs. This product sheet is originally written in English. Please find below an automatic translation into French. If you have questions please contact us. Audi: 03g 198119, 03g198119b, autex: 702377, autlog: zk1030, autokit: 4.5118, autoteam: kat1386, bga: tb0130cpk, tb0130k, breda lorett: kcd0056, tjb bearings: pbtk071, caliber: 0313kw, car: dks0 4.5118, comline: ctbk040, dayco: ktb441, delphi: kdb441, fai autoparts: tbk455, flennor: f904596v, hutchinson: kh 267, ipd: 20-1372, international km: kfi313, magneti marelli: 341301450000, 341310871201, maxgear: 56-0033set, metzger: wm-z 835, open parts: tbk 5015.11, optibelt: kt 1403, repkit: rktk0929, seat: 03g 198119, 03g198119b, skoda: 03g 198119, 03g198119b, snr: kd 457.50, triscan: 8647 veyance 29084,: k1g1587h, vw: 03g 198119, 03g198119b, wilmink group: wg1487919, wg1487920. Extended warranty of 5 years. Gates Corporation is a leading manufacturer of application-specific hydraulic transmissions and power transmission solutions. At the doors, we are driven to push the boundaries of the science of materials engineering products consistently exceeding expectations. We have put as much detail as possible in the compatibility chart section above, but the only way to be 100% sure that the part will fit your vehicle is to check the part number on your original device - if you find that the party is not good for you, for some reason send us a message and we will be happy to organize a return. We resume and have no policy to do anything. This information is directly from the manufacturer of the party, we do not possess this data and can not confirm its accuracy or modify the data. There may be unspecified choice options and it is recommended that the customer verifies that the image and corresponding equivalent reference numbers before purchasing. If you are unsure at all please send a message indicating the part you need with your vehicle registration number (uk only) and model, engine size and year of your vehicle and we will strive to meet within 1 working day. This is a real part offered with an extended warranty. We return to 60 days after purchase for refund or exchange if they are unused and unmarked. If a part is defective a replacement will be sent after the return and the test of old unit. Claims for loss of work and consecutive are never accepted. We send our products by the selected delivery method within 24 hours. 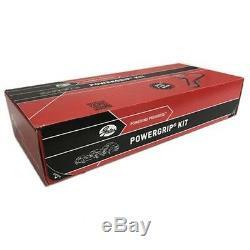 The item "original gates kit timing belt gatk015607xs" is for sale since Wednesday, October 31, 2018. It is in the category "auto, moto parts, accessories \ auto \ parts \ engines, engine parts \ chains, sprockets \ kits" . The seller is "cponline15" and is located at / in pr25 3us. This item can be delivered anywhere in the world.